The Flash has fast become one of the most popular shows on TV and it’s all thanks to the awesome cast who made the show what it is. Season 2 of the Flash started filming a few weeks ago and we’ve seen some amazing new spoilers from the show including the first picture of Caitlin Snow (Danielle Panabaker) as Killer Frost her super powered alter ego fans have been waiting for since she first appeared in the show. 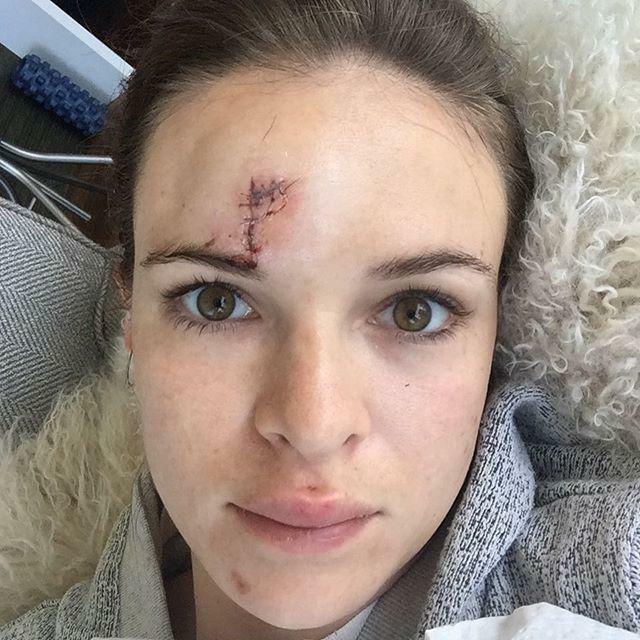 This is one picture I wish was makeup but it Danielle Panabaker posted this on her social media earlier today. She’s doing well now but needed seven stitches just above her eye. At the moment we don’t know what caused the fall but it could be an accident on the set of Flash Season 2 and just hope she continues on her fast and full recovery. We’ve seen a few accidents in recent years while actors have been filming. Harrison Ford recently broke his ankle filming Star Wars, before that Robert Downey Jr was injured on both Iron Man 2 and 3 on set.